What Might Bite will turn up at Kempton on December 26? The reigning champion is the King George VI Chase favourite, but can he make amends for Haydock? Might Bite, an emphatic winner of the King George in 2017, is no bigger than 11/4f with 888 Sport to win the Christmas Grade 1 on December 26, and has been reported in fine fettle by trainer Nicky Henderson after his Betfair Chase flop last month. However, the field he faces this term has strength in depth, with his Gold Cup thwarter Native River, Betfair Chase winner Bristol De Mai, 2016 hero Thistlecrack and exciting unknown quantity Waiting Patiently all lining up to challenge for his Kempton crown. Is There A King George VI Chase Trends Winner? What does it take to win the King George VI Chase? The trends for the last 12 years show that you must be a Grade 1 winner already - this isn't the time to break that maiden tag - and you must also have already won over 2m7f-3m1f. Contrary to popular believe that a speedier type can win at Kempton, 12/12 recent winners had, as stated above, proven their stamina. In addition 10/12 had run four or more times in races with that distance bracket. 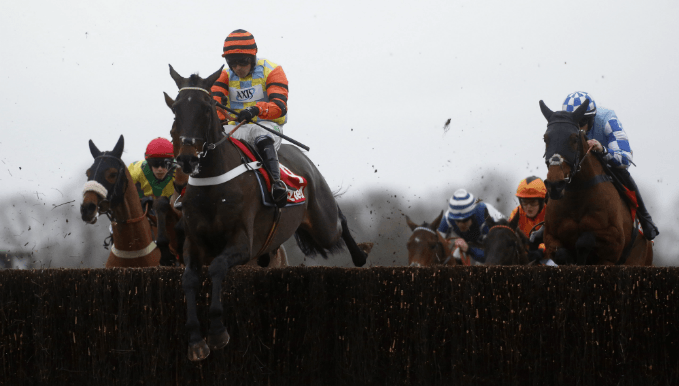 Just one winner (Thistlecrack, who was unbeaten in three outings) had won less that eight chases, and just two had less than three Grade 1 wins to their name, Might Bite last year, and Silviniaco Conti in 2013. Unparalleled champion Kauto Star and Cue Card are the only winners aged older than eight, and only three winners were rated less than 172 - Might Bite, Long Run, and Thistlecrack, who had no official rating, but was rated 174 over hurdles. The last major King George VI Chase trend is Kempton form: 8/12 winners had won at Kempton before, Kauto Star and Thistlecrack were the only winners who won having never run at the course, and the other two non-course winners had previously finished second in the King George - Cue Card and Silviniaco Conti. Bristol De Mai and Might Bite are the top two picks on King George VI Chase trends, Bristol De Mai hitting every trend bar rating and a Kempton win - and being tipped up here last month as an antepost bet. If you're going to back a horse strictly based on trends, he's the one. Might Bite fell down on just two trends: a win this season, and a win last time out. So if he hadn't disappointed in the Betfair Chase, he would have ticked every box. What's interesting is that being beaten in the Betfair Chase is actually a positive trend for King George VI Chase winners, and more so for those trained by his trainer Nicky Henderson. Long Run was beaten in the Haydock race before finishing second to Kauto Star in 2011, and again in 2012 before winning the Kempton blue riband by a neck. Moreover, stablemate Bobs Worth was beaten in the Betfair Chase before winning the Lexus Chase at Leopardstown. The latter performance rather mirrors Might Bite's, and since connections found nothing physically wrong with him last month, the last-place finish can be ruled out for lack of race readiness; he just wasn't up to that class of race so early in the season, and with full focus on the King George. He does re-oppose Bristol De Mai, Native River and Thistlecrack, now 10 returning from injury, who beat him at Haydock, all show fine form, but the ground is against Native River, Bristol De Mai couldn't be as good on it either, and Thistlecrack still has plenty to prove. If you're looking at Waiting Patiently, note no horse has ever won the King George VI Chase on their first run of the season, 11/12 recent winners having run no more than 44 days ago, the exception, Long Run, finishing 3rd at Cheltenham's November meeting 63 days ago. Only Clan Des Obeaux scored worse from the King George VI Chase trends above in the latest 12-runner field, Waiting Patiently being untried at the distance, rated 2lbs shy of 172, and lacking any recent form. He's also only run in, and won, one Grade 1. Unlike others who overcame similar issues, Waiting Patiently was not highly-tried over hurdles (Thistlecrack), has not won at the Cheltenham Festival (Might Bite), and is not Kauto Star. Yet, despite all the negatives, the unbeaten chaser is the general second favourite in the King George VI Chase betting, priced at odds no bigger than 5/1 with BetVictor, with punters dreaming latching on to the potential the Ruth Jefferson-trained star has. He has been immensely impressive in his six chase outings, moving up the grades steadily without hesitation, and with exuberant jumping. To bet on him is to believe in something bigger, so if you believe. . . So, Is There An Each-Way King George Bet? Perhaps not. Perhaps it's about recognising the value that Might Bite is at 11/4, the four-time Grade 1 winner having been odds-on for the majority of his chasing starts. Or maybe you're looking for the horse to put in a forecast? Native River is certainly a good each-way bet at 15/2 with Betfair, the Gold Cup winner having never finished out of the first three in 14 chase starts, running at eight different courses, over distances from 2m3.5f-3m5.5f, and on ground ranging from good to heavy. On the ground due at Kempton, with very little rain in the offing, he does not look set to beat a back-to-form Might Bite, but you can guarantee he is going to give Richard Johnson everything he has, and that should run him into the money. But What About Paul Nicholls's Record? We cannot ignore trainer Paul Nicholls's King George VI Chase record, the Ditcheat master having won the race nine times in 21 years - and been placed a further three times, from the 19 times he has had a runner. He could saddle both two-time Grade 1 winner Politologue and complete unknown quantity Clan Des Obeaux, who has failed the three times he has run in this company. Politologue is therefore the best bet for another Nicholls King George win, the seven-year-old now in his third season of chasing and beaten only at Cheltenham or Haydock - and once more by the Champion Chaser Altior. He's won both starts over fences at Kempton, and his only run of this term in a Grade 2 at Ascot. With one more Grade 1 win, and any run beyond 2m5f, he would fit the King George winner's profile well. If you trust what Nicholls says, that he has no concerns over him staying, then there's no doubt he has the class.